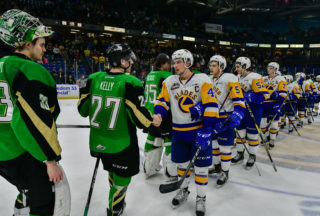 For the first time in the season series a road team emerged victorious as the Saskatoon Blades scored four unanswered goals en route to a 7-3 final in Brandon over the Wheat Kings. It was the fourth straight road win for the Blades who are now at 31-13-8-0 on the season and have a six point lead over the Moose Jaw Warriors for 2nd place in the East Division. 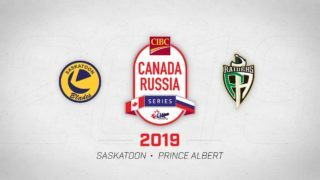 Saskatoon will travel home to host the Moose Jaw Warriors tomorrow (Wednesday) night. Max Gerlach (30) scored the first goal of the hockey game and the only one in the first period to give the Blades a 1-0 lead. Gary Haden and Emil Malysjev assisted on Gerlach’s 30th of the season as the veteran sniper reaches the 30-mark for a fourth consecutive season. The Wheat Kings evened the score through their captain Stelio Mattheos on the power play, 3:24 into the second period. Then Kirby Dach (19,20) scored two goals 19 seconds apart to put Saskatoon up 3-1. 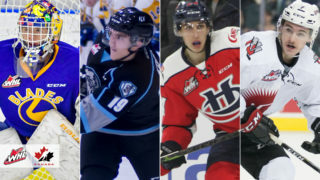 Ryan Hughes assisted on both goals, the first of which will likely earn some attention for WHL highlight of the night. Kirby Dach finishes off a pretty play from Ryan Hughes and we're back out in front 2-1! The Blades then ran into some penalty trouble as Eric Florchuk was sent off for a high-sticking double minor. Early in the kill Dawson Davidson was also called for high-sticking giving the Wheat Kings an extended 5-on-3 advantage. They didn’t let the opportunity go to waste either, scoring two goals less than a minute apart while up two skaters to tie the game at 3-3. But Florchuk (16) got redemption and scored the next goal of the contest to put his Blades’ back in front 4-3 heading into the second intermission. 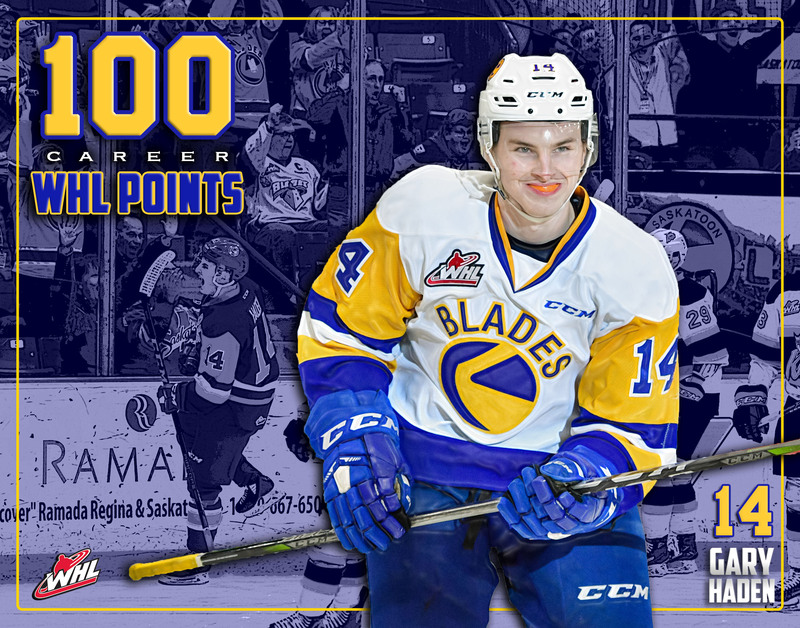 Nolan Kneen and Gary Haden assisted on the goal, which happened to be Haden’s 100th career WHL point. 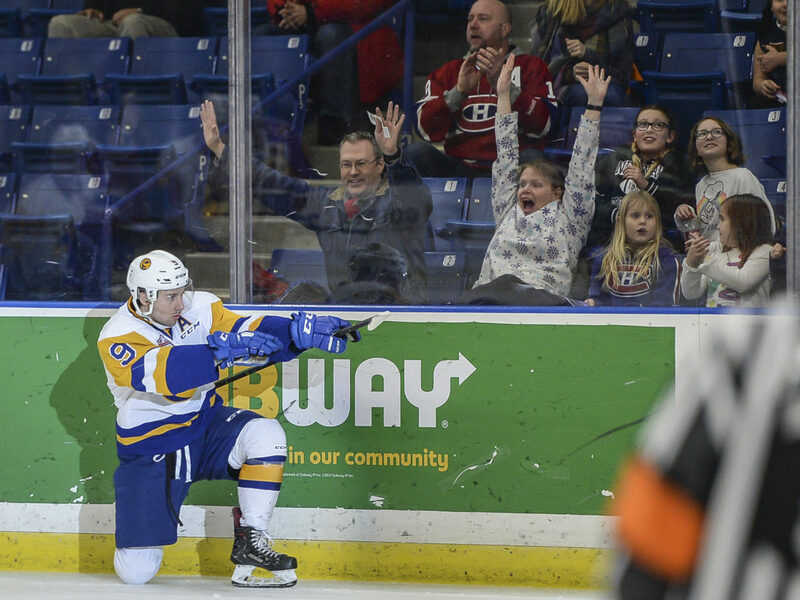 The third period belonged to Saskatoon as they outshot the Wheat Kings 17-11 and scored three more goals. First up was a power play marker from Kirby Dach (21) to complete his 2nd hat-trick of the season. Then Chase Wouters made a nifty feed to Max Gerlach (31) for his second goal of the game. 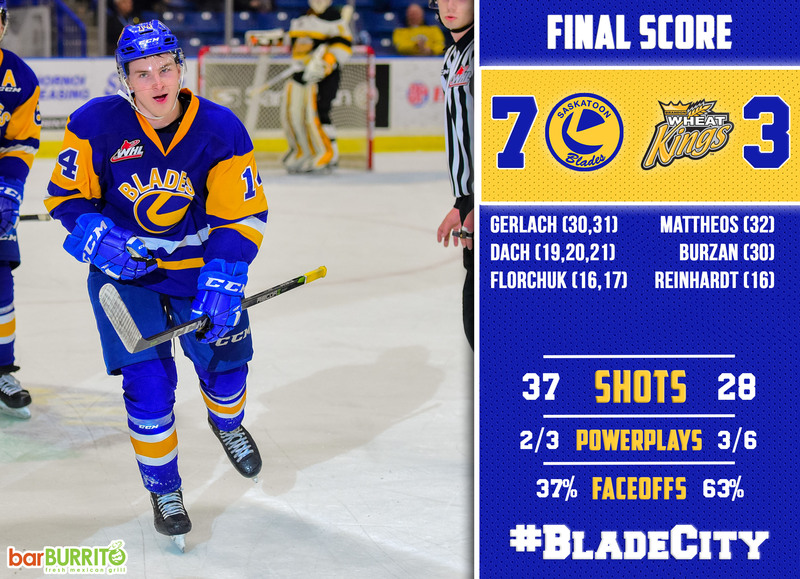 And just in case he was still feeling responsible for his penalty in the second period, Eric Florchuk iced the cake with his 2nd goal of the night, also on the power play to complete the 7-3 victory for the Saskatoon Blades. Dorrin Luding did not allow an even strength goal making 25 saves for his 6th win of the season. Saskatoon improved their power play numbers going 2/3 on the night and 3/6 on the penalty kill. Gary Haden surpassed the 100 career points mark with a 4 assist performance, now at 102 career points. Dawson Davidson extended his point streak to 10 games with an assist, a new career high. 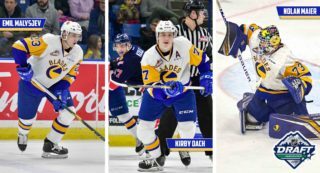 Kirby Dach scored his 2nd hat-trick of the season. Max Gerlach had 2G-1A to extend his point streak to 8 games (7G-6A). Gary Haden had 4 assists, 5 shots on goal, and was one of four Blades with a +3 rating. He also extends his personal point streak to 5 games which includes 9 goals and 4 assists. Haden now has 49 points in 39 games since joining the Blades in October. 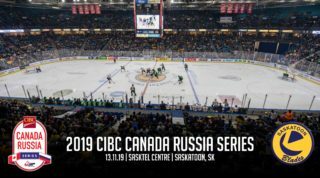 The Blades host the Moose Jaw Warriors in what will no doubt be dubbed as the biggest game of the year on Wednesday night at 7:00pm at SaskTel Centre. It’s the final “Wing-It Wednesday” of the season, meaning fans can buy 1 ticket and get a second for $2 while enjoying boneless wings on special at the concession.